The sparrow watched the raven flying high above her nest. His slender and strong body excited her as she awaited for his return. At long last she would have what she wanted. She had paid the price willingly, and now it was time to have what was due to her. She prepared herself in the same manner in which caught the raven’s eye many months before, and waited. Waited for the object of her affection to appear, and appear he did. Entering her nest in the same magnificent fashion he always did. Wings spread wide, his body practically blocking out the sun as he approached, his shadowy figure slowly fluttering down towards her. She had prepared a meal for him. The same meal demanded of her before. The meal that was supposed to insure her position in his life. The meal that she couldn’t bear to partake in herself. Because although her passion for this raven was almost at a fever pitch, sacrificing her own eggs to him haunted her. The one sacred duty of any female sparrow was to protect her nest, and she had forsaken that duty. Forsaken it for a passionate fantasy that had overtaken her, but she couldn’t help herself. All her life she had looked to the sky and marveled at the beautiful ravens as they flew overhead. She knew of their danger, seeing her own mother fearlessly chasing them away from her own nest. Thank heavens her mother wasn’t alive to see what had become of her daughter. Shunned and treated as a pariah by the other sparrows. The horror of what she had done known to all. They said that she was mad and had lost all reason. She didn’t care though; reason had no place in the realm of passion, and she had proven her passion for the raven, and now it was time for the fantasy to become reality. It was time for the raven to prove himself to her. The raven smiled seeing the meal that she had prepared for him, and wasted no time in satisfying himself. Satisfying himself with the meal and the sparrow, who was so willing to give herself to him. 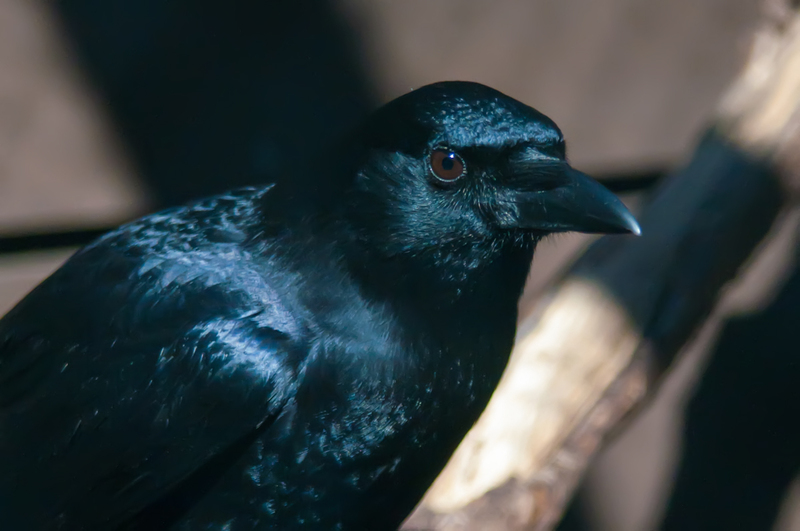 Afterwards, the raven smiled as he looked at the sparrow laying next to him. He marveled at the power he possessed over this creature. Who he made no commitment, or declaration of love to, and yet she would do anything for him. Debase herself in the worst possible way and he had to do nothing, and he did. He came to her when he wanted and left when she no longer amused him. “Did you enjoy the meal?” The sparrow asked, as she attempted to cuddle up closer to the raven. “Oh, I didn’t,” the sparrow replied as she again attempted to cuddle up with the raven. The raven then felt a sharp piercing pain in his chest. Looking down he discovered a sharpened stick sticking into it, held by the sparrow who he thought he held complete dominion over. The sparrow, who then crawled on top of him, looked down in a caring fashion, and said, “now we’ll be together, in this world and the next.” And she threw herself on the other side of the stick she had sharpened, finally getting what she wanted most in the world: For them to be together, forever, in each others loving embrace. My buddy’s Mark Bate, Tyler Tanner and Myself wrote Grimm Style fairy tales for the latest edition for Eclectic Voices Literary Journal. Enjoy! This entry was posted on May 17, 2015 by Eclectic Voices in Fiction and tagged #eclecticvoices, #fiction, fairy tale, fiction, flash fiction, grimm, jeff folschinsky.